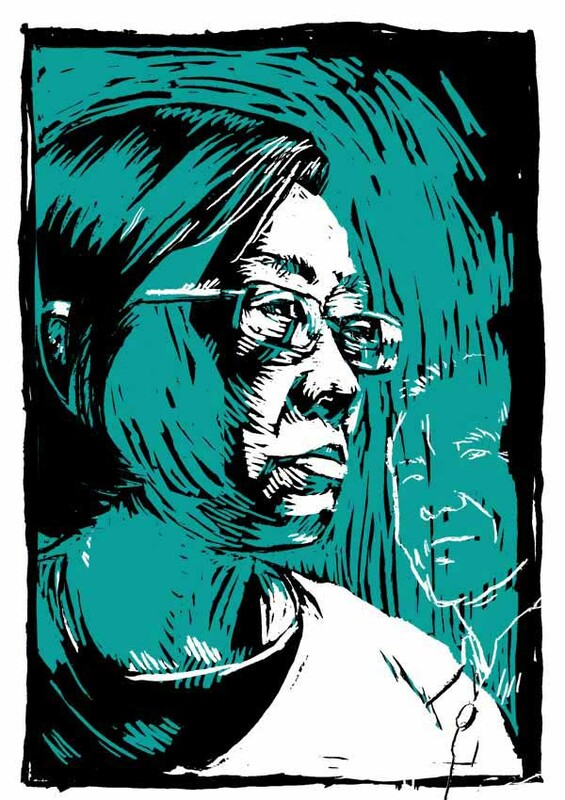 Ng Shui Meng (Laos) — Women struggling for human rights"
Ng Shui Meng, the wife of a renowned Lao activist who disappeared in 2012, just wants her husband back. ON DECEMBER 15, 2012,— a quiet Saturday afternoon in Vientiane, Laos—Ng Shui Meng and her husband were driving home to dinner. She had just returned from a meeting. Following in his beat-up jeep, he had just played his regular game of ping-pong with a friend. She could see him in the rearview mirror of her car until she passed a police checkpoint. Her husband, Sombath Somphone, never made it home. And Ng was soon propelled onto international headlines, demanding his return. “If he has committed any crime, then charge him in court and allow him the right of due process according to law, and allow his family the right of visitation,” Ng asked Lao leaders, speaking in an interview with RFA a year later. What has happened to Sombath, a highly respected civil society worker who dedicated his life to helping the poor in Laos? Lao officials in the Ministry of Public Security, the Ministry of Foreign Affairs, the National Assembly, and the Prime Minister’s office offer no explanation. Kidnappings of those who question the all-powerful political apparatus in Laos are not rare, but this one was captured on tape by a police camera set up to prevent crime in the streets of the capital. Ng was able to record a viewing of its footage with her cell phone, and this is now on YouTube for all to see. On the video, Sombath’s jeep is seen stopped in front of a police post at Km4, Thadeua Road. Someone then gets in and drives the jeep away. A white truck approaches, Sombath is led to it, and the truck takes off as the door slams shut. “Half of me is missing,” Ng told RFA later in an interview. Careful, like her husband, to avoid being described as a “human rights activist,” she nevertheless refuses to give up her pursuit of the truth. Ng now navigates a difficult path between her determination to bring back her husband and her concern not to offend in a country where no dissent is tolerated. Though Sombath’s case has been widely reported in the international media, it has received no coverage inside Laos. Ng and Sombath met in 1978 at the University of Hawaï. She was working toward her PhD in Sociology, and he—a son of poor Lao farmers in Khammouane Province—was getting a BA in Education and an MA in Agriculture. A Singaporean, she became a Senior Research Fellow at the Institute of Southeast Asian Studies in Singapore and then worked for UNICEF in Laos, China, and East Timor until 2008. His initial work included demonstrating low-cost methods of improving farm production and food security. Later, he pioneered the use of participatory rural appraisal techniques in Laos. Then, in 1996, he was given permission by the Ministry of Education to establish the Participatory Development Training Center, PADETC, to provide training in community-based development for youth and local government officials. In 2005, he received the Ramon Magsaysay Award—an award often referred to as Asia’s equivalent to the Nobel Prize—for community leadership. Never one for confrontation, he nevertheless spoke to defend those who did not know how to speak for themselves. Land grabs, inadequate compensation for those displaced by dam construction, health care, and education were some of the causes in which Sombath intervened to try to find just solutions. In 2012, he played a leading role in the organization of a meeting in Laos of the Asia Europe People’s Forum, a civil society grouping that brings together national leaders from across Asia and Europe. The meeting took place on October 2012. Though 300 participants were expected, 800 people showed up. The meeting’s success may have worried some in Laos who profit from the country’s unchecked development at the expense of local villagers. Now left brutally alone after 36 years of a shared life and a common cause, Ng cuts a small figure in her steelrimmed glasses. But she won’t stop asking for her husband’s return.